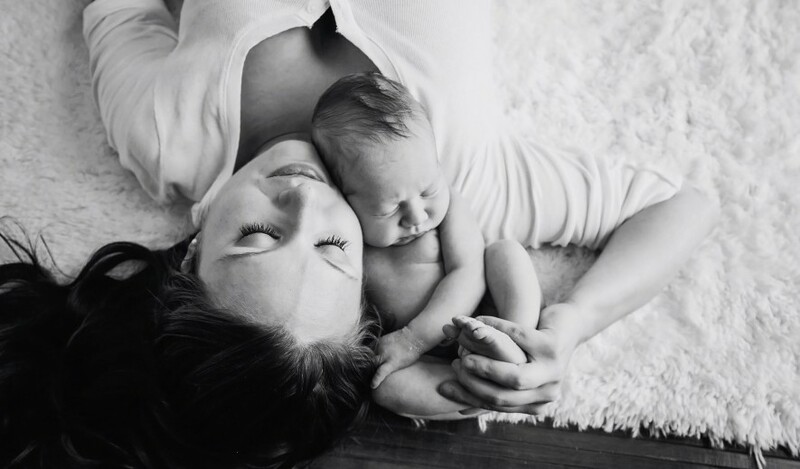 After coming off of a super fun long Easter weekend with my hubby and squishy baby, it was sad to lose J to another dreaded full week of work, lol. Luckily P and I were able to fill our time with lots of outdoorsy things since it was in the high 70s all week! We even got to host our own little belated Easter egg hunt and picnic in our backyard and it was a huge hit with our baby and mommy friends. 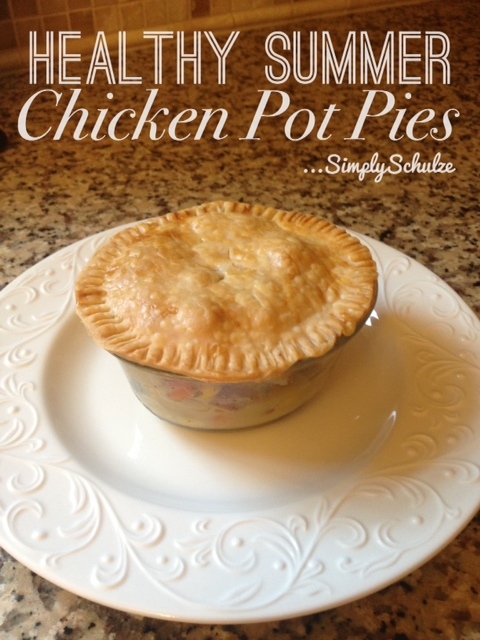 Since the weather was going to be questionable today, I figured it would be the perfect time to give the grill a break and try out my idea for a “summer” chicken pot pie recipe. I don’t dabble in paleo (no pasta or potatoes, is that a sick joke!? lol) but apparently cauliflower based everything is all the rage for those folks, so a few weeks ago I gave the cauliflower “alfredo” sauce a go and it was AMAZING (and freezes well which gave me the opportunity to use my left over sauce in tonight’s recipe!). When I triumphantly posted my cauliflower dish on Facebook, a friend of mine had suggested using the sauce as a base in a chicken pot pie – genius! Even without the heavy cream-based sauce I still felt that chicken pot pie was a little heavy a dish for the beautiful weather we have been having so I decided to lighten it up a tad more by using zucchini and summer squash in the veggie mix (plus squash and zucchini were next up for baby P to try food-wise so I was going to be buying them anyway). So tonight with J off early to hang with my sweet squishy (I know I’ve mentioned before how P does not like super involved recipes lol) I gave this recipe a go. Truthfully, I was a little worried that without the hearty sauce the finished product would be too watery and much less flavorful – I could not have been more wrong!!! 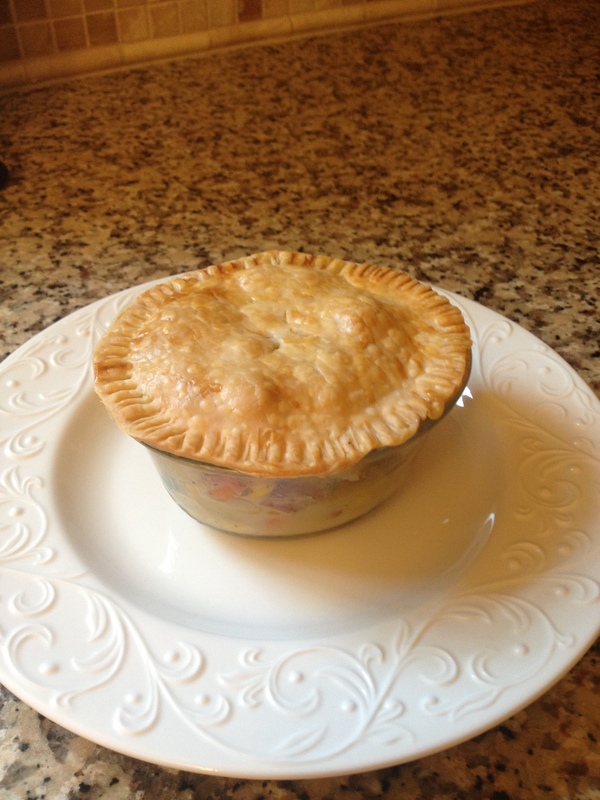 This was a homerun to say the least, my hubby even said he liked it better than my regular pot pie recipe! I’m literally enjoying my second right now as I type because it was THAT good lol. These will without a doubt be going into our regular recipe rotation, they are hearty but not heavy and the leftovers even make perfect little lunches. If you’re looking for some almost-guilt-free summer comfort food, look no further (and let me know what ya think!). 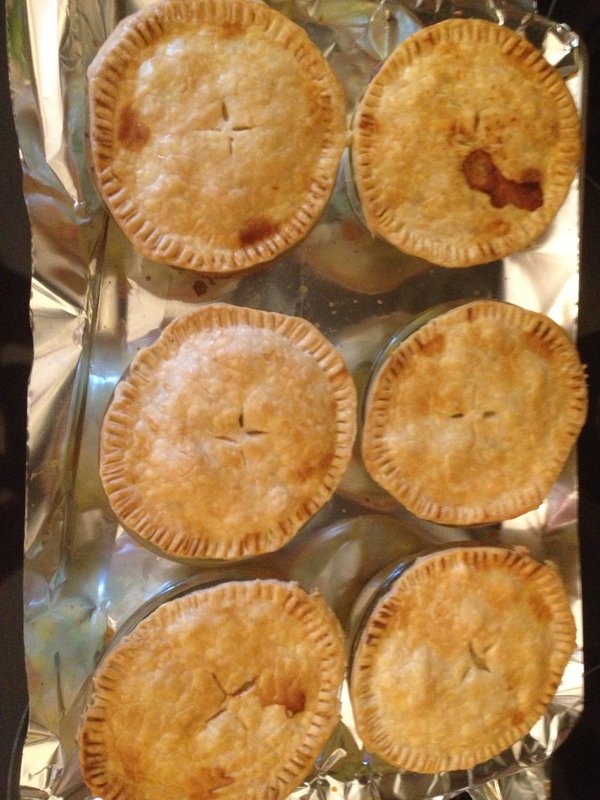 *Recipe makes 6 mini pot pies, using 6 6oz ramekins. 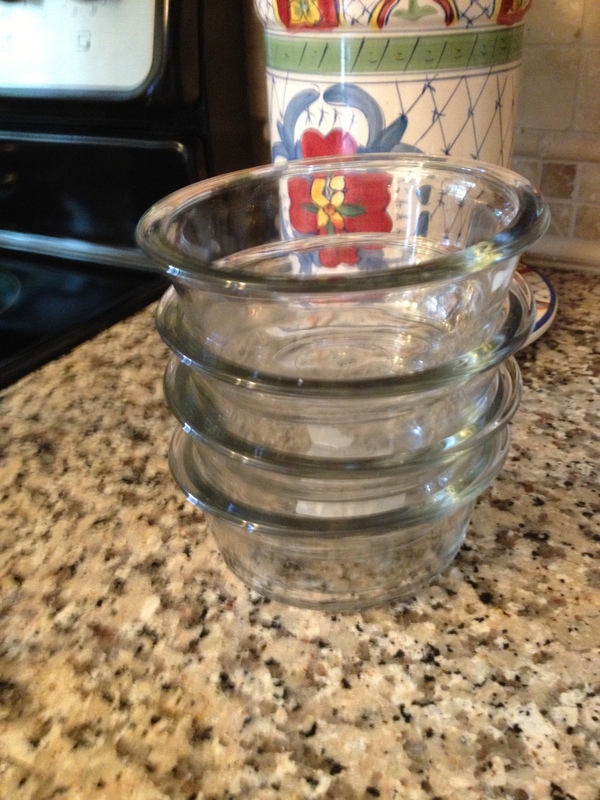 If you use 4 or 10oz ramekins your portions will vary. 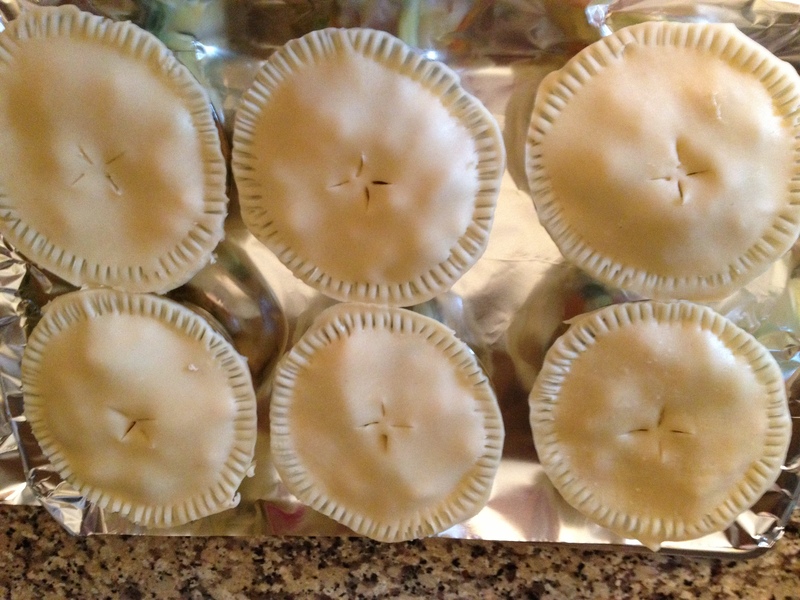 If your pie dough requires defrosting remove from the freezer, preheat oven to 375 degrees. 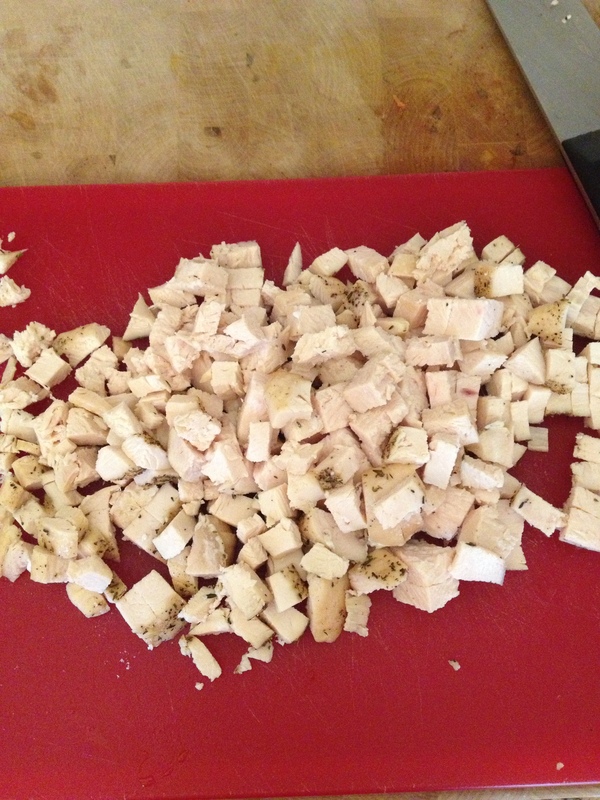 Begin by dicing all of your vegetables and chicken. 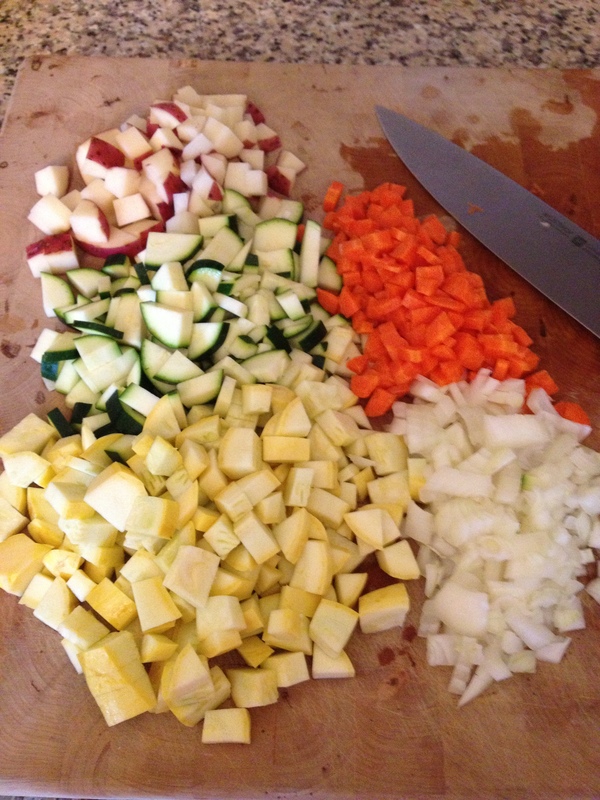 Heat the oil in a large pan and add the onions, squash, zucchini, potato, salt, pepper and thyme. 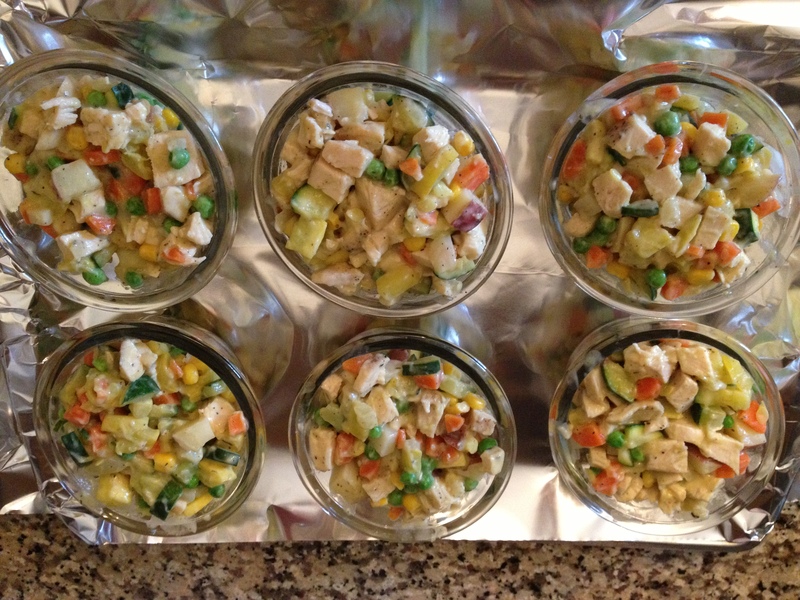 Cook until veggies begin to soften (about 7-10 mins. The potatoes will still be hard, they will finish cooking in the oven). Once veggies begin to soften add frozen peas, corn and cauliflower sauce. Stir and allow mixture to heat through. 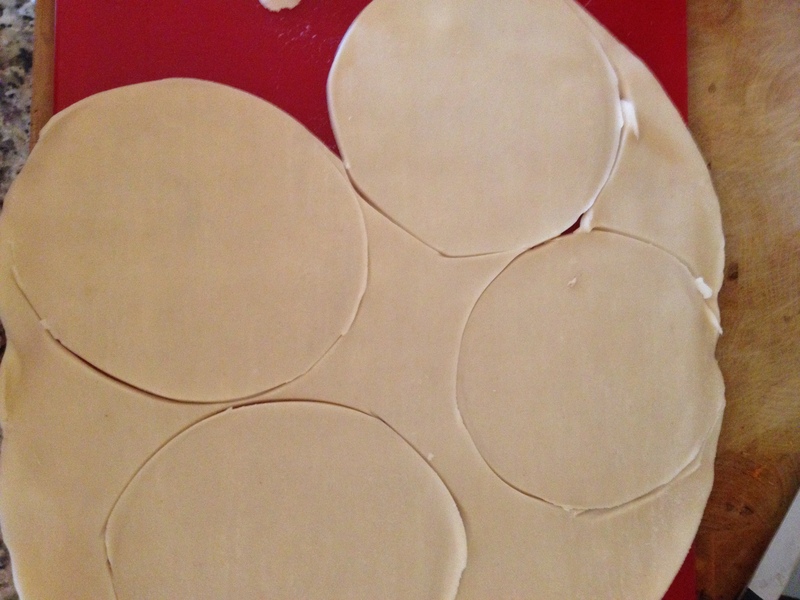 Unroll your pie crusts and use one of your ramekins as a guide to cut around the edge of the ramekins and set aside. Add about a cup of the vegetable mixture to each of your ramekins (depending on the size of your ramekins this will vary). Lay each piece of pie dough over each ramekin then seal the edges using a fork (if your ramekin does not have a flat edge just disregard this step), then using a knife cut a few small slits in the top to vent each pie. 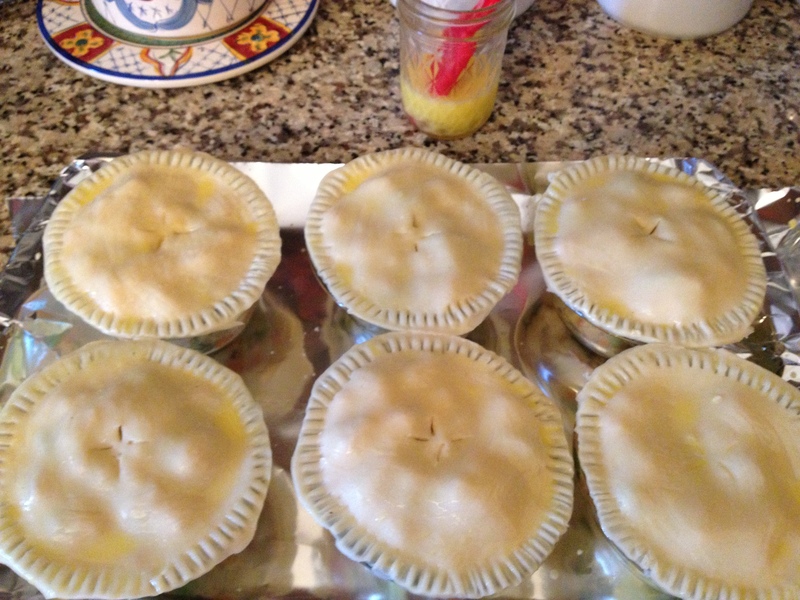 Beat the egg and water and brush the tops of each mini pie, this will help them brown. 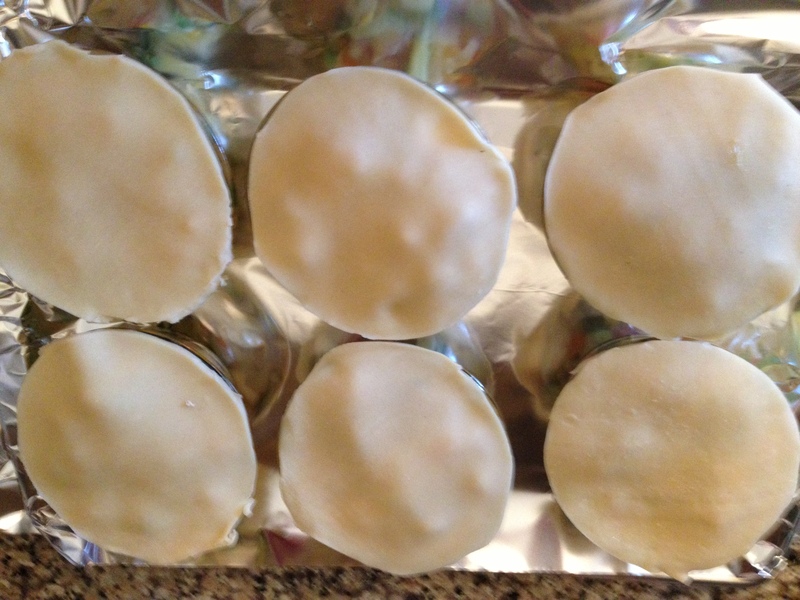 Place the ramekins on a cookie sheet and bake for about 1 hour, until tops are golden and filling I bubbling. Remove from oven and allow to cool for 5-10 mins before serving, enjoy!! !